Flush with color, begonias are a beautiful addition to most gardens. However, they do take a bit of know-how to bring them to their full flowering potential. They are great to grow in containers, they love a wet environment, but begonias are also a bit finicky. The colorful, bouncy blooms of begonias also make beautiful friends in the garden bed. Before bringing home begonias, or if you already have a specimen struggling at home, there are a few basics to know to get the best from your tuberous plant. Annual begonia plants can sprout up quickly under the right conditions. Location and water are the two most important factors when growing begonias. They enjoy a sunny location, as long as it's not direct. Placed under the canopy of a shade tree or overhang, a begonia will thrive for years. 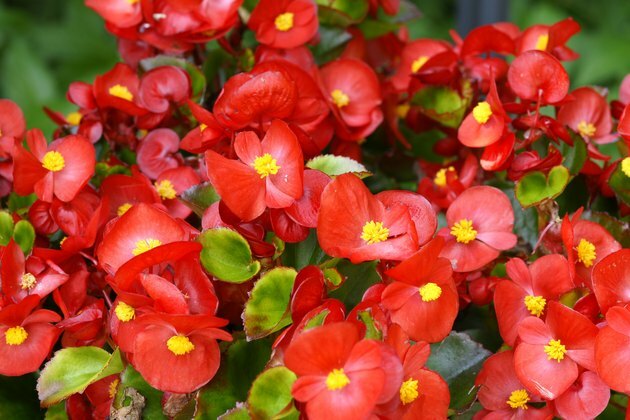 Annual begonias are originally a subtropical species of begonia semperflorens, also called wax or bedding begonias. It comes in green or a reddish bronze leaf with single or double flowers in shades of blush pink, ruby reds and creamy whites. The more delicate begonias with the bright green leaves don't do well in warm, hot, sunny gardens. They love humidity so keep the soil damp, but not soaking. If the soil is too wet, the picky begonias will show their displeasure at having their roots soaking in water. If the soil is too dry, the thick leaves will show signs of shriveling rather quickly. Finding that happy medium can take a few trial runs. They work best in hardiness zones 6 through 12, but won't last long without the proper soil to keep their roots at the level of moisture to maintain growth. Extra perlite in light potting soil will help with the begonia's need for proper drainage. Sandy loam soil can be added if the begonia lives in a large garden bed outside. Outdoor garden spaces that have a heavy clay soil aren't ideal for begonias so use a raised bed filled with lush topsoil and compost to keep the plant in good spirits. If the leaves begin to show signs of sun damage, move the begonia to a shadier part of the outdoor space it inhabits. 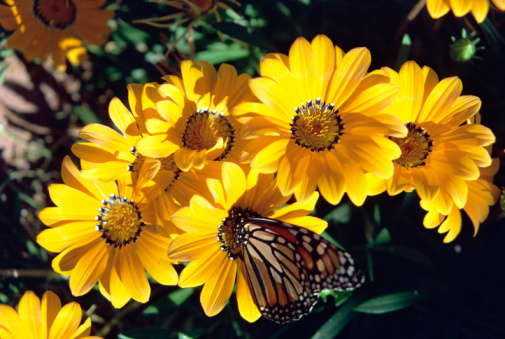 Make sure to clip off the spent blooms to keep the plant thriving in its happy home. They love a good haircut to keep them bushy year round so don't be afraid of cutting them back before frost hits your region.